The feast of St. John Bosco was celebrated with much enthusiasm and fun fair this year as it was combined with the Annual day of the school. The celebration was extended for two days January 30 and 31, 2019. On January 30, the Catholic students, boarders and parishioners attended the solemn Eucharist at the noon followed by lunch. 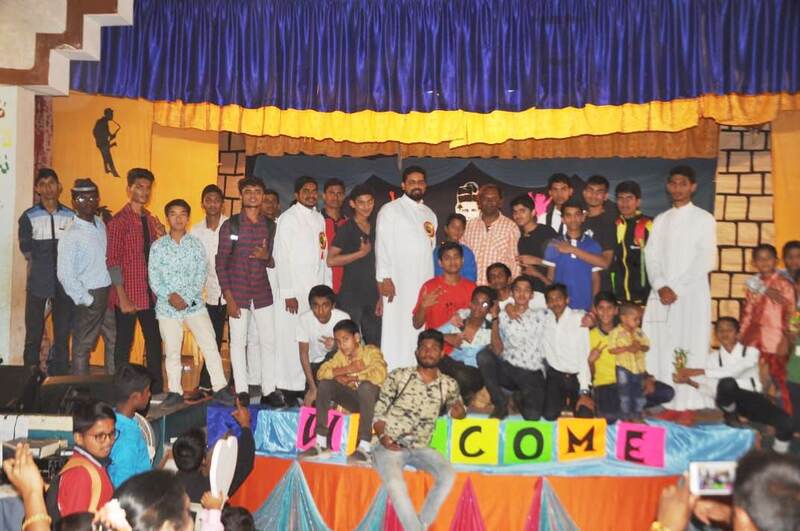 The annual school function along with the feast of Don Bosco, the father and founder began at 4:15 pm. Fr. Eddie D�Souza a diocesan priest who has served as principal for over 30 years was the chief Guest along with 5 others who were guest of honour. Fr. Francis Silveira, the Rector proposed the introductory address. After the guest were felicitated and after having listened to them the annual prize distribution began and the deserving students were awarded certificates, medals, trophies and shield. This was followed by the feast day program which was a rich mixture of songs, dance, instrumental, skits and pyramids. Principal Fr. Patrick Dias presented the Annual School Report and briefed the crowd about the activities of the academic year 2018-19 with the help of audio visual aids. After the curtain call Fr Santaremend Lopes proposed the vote of thanks. Almost all the students appeared on the stage for something or the other. The general impression of the crowd was that the students are well disciplined and are very enthusiastic. This was also mentioned by the Chief Guest while he spoke. The theme for the annual day was the Strenna of the Salesian Rector Major for this year: Holiness for you too. Dances like �Open Bosco Style�, �We are the Children of Don Bosco� along with others were like the highlights of the day. January 31, the feast day of Don Bosco, was a day set aside for the religious and the community. The solemn Eucharist began at 11:30 am and was followed by the festive lunch. In the evening was the prayer service followed by the community fellowship.